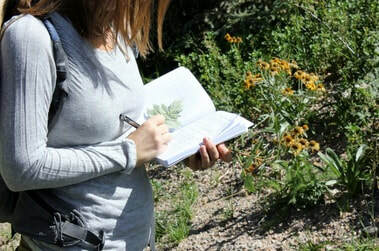 Located in the enchanted high mountain desert of Santa Fe, New Mexico, Milagro School of Herbal Medicine offers in-person and distance learning courses on the Foundations of Herbal Medicine. Herbal medicine is an exciting and empowering field of study, one that allows you choices about your health and gives you the practical knowledge to successfully care for yourself and loved ones. After taking our courses you will have the confidence to use herbal medicine appropriately and you will have the skills needed to make your own herbal remedies. "The Foundations course opened my eyes to a new world of awesome plants" - Mary S.
"This program definitely changed the lives of my family and friends" - Jimmy M.
Interested in our programs but don't live in Santa Fe or can't make the in-person commitment? We now offer a comprehensive, multimedia online distance learning program!